Erin Bunker of Barnstead has been named to the Plymouth State University Dean’s List for the Fall 2018 semester. To be named to the Dean’s List, a student must achieve a grade point average between 3.5 and 3.69 during the Fall 2018 semester and must have attempted at least 12 credit hours during the semester. On February 3rd Eyjolfur Steinsson and his wife, Thorgerdur will be sharing how God miraculously intervened in their lives. The service is at 10:00 am at 595 South Barnstead Road. Come and meet them and hear their incredible testimony and what God showed him in the universe. It’s Fine Free February at the Oscar Foss Memorial Library! During the month of February, bring in 3 or more non-perishable, unexpired items (clearly labeled) and have overdue fines up to $20.00 on your account waived. Donations will be delivered to the Barnstead Food Pantry and End 68 Hours program at Barnstead Elementary School. The library is collecting Valentines for Veterans again this year. Come in any time and make a card (or two!) to send as a way to show our appreciation to these brave soldiers. You can also drop off cards for us to deliver if you prefer to make them at home. We will be collecting cards through February 9th. Thank you for your support. Join us at the library on Friday, February 8, 2019 at 6:00pm for a free family fun night! We will be showing “Small Foot” (PG) on our big screen. Light refreshments will be served and pajamas and cuddling items are always welcome. Local Democrats and Independents are invited to the meeting of the Tri-Town Democrats of Barnstead, Gilmanton, and Alton on Monday, February 4th at 6:30. Registered Democrats from all three towns are eligible to vote in the caucus elections for town Democratic committee officers and delegates to the Democratic State Convention and to the county Democratic committee. The meeting will also feature guest speaker Andru Volinsky, Executive Councilor of NH, who will discuss real estate taxes and school funding. He has represented several communities in their fight to protect public funding for schools and has been holding forums around the state informing the public about these issues. The Alton, Gilmanton, and Barnstead Democratic Committees will be holding their caucuses to each elect five volunteer officers: chair, vice chair, secretary, and treasurer and one delegate-at-large for each of the three towns’ committees. These five positions also have a vote at annual state Democratic Party conventions to approve the party platform. This is a great way to take an active role in the committee work and strengthen our group’s efforts in the coming two years leading up to the 2020 presidential election. These monthly meetings give you the opportunity to learn about local and state political issues and how you can participate in making a difference. You will share the evening with like-minded individuals and have the chance to express your opinions and experiences. The guest speaker will be followed by action items and community organizing. This meeting of the Tri-Town Democrats will be held at the Barnstead Town Hall at 108 South Barnstead Road in Barnstead. Come for socializing and potluck any time between 6:15 pm and 6:30 pm. This meeting is open to all residents of Barnstead, Alton, and Gilmanton who consider themselves moderate, liberal, or progressive Democrats or like-minded Independents. Potluck items to share are encouraged but not required. 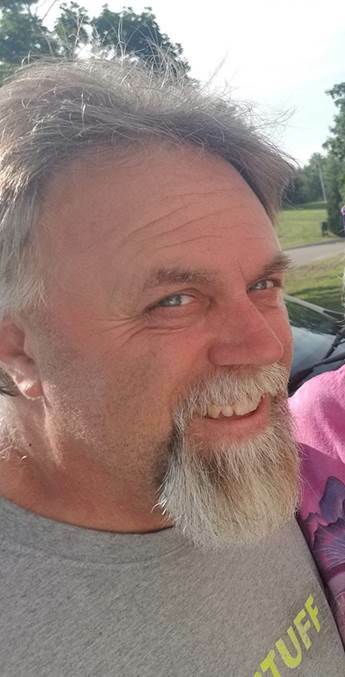 ALTON – Norman A. Pare’, Jr., 53, of Alton, formerly of Pembroke passed away unexpectedly on Wednesday, January 23, 2019 at Huggins Hospital in Wolfeboro. Born on February 9, 1965 in Norfolk, VA he was the son of Nancy (Worthen) St. Laurent of Chichester and Norman A. Pare’, Sr. of Norfolk, VA.
Norman proudly enlisted and served his country in the United States Air Force. He had worked a majority of his life as a delivery truck driver, first for Mobil and most recently for Endicott Furniture. His fascination and love for all things transportation related stuck with him from his early childhood through his late adult life as he had a great love of trains, planes and trucks. He enjoyed time spent outdoors and doing anything with his family. He was a great man with a heart of gold, always ready to lend a helping hand with a smile and laugh, he was deeply loved and will be greatly missed “and stuff like that” as he was known for saying. Besides his parents, he is survived by his fiancé, Cindy Rowe of Alton, with whom he shared 10 years; his children, Chadd Pare’, Bethany Pare’ and Alyssa Pare’; his siblings, Penny Pare’ of Boynton Beach, FL, Marc Champagne and his fiancé Christy Morris of Concord, NC and Lisa Champagne of Chichester; his grandson, Ozzy, his nieces Neveah and Christina, his nephews Cameron and Marc.